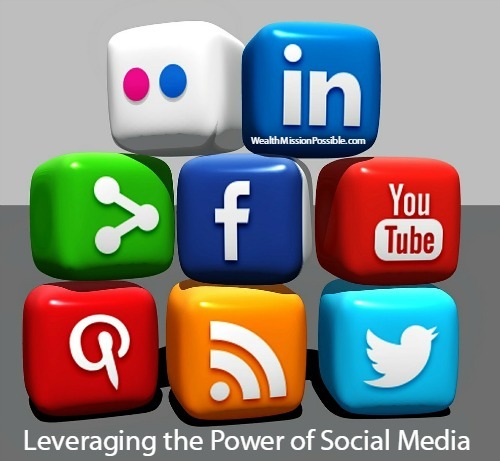 Harnessing the power of social media can help boost your business. Over the years, social media has become a platform that can either help or hurt companies. Leveraging social media is for most anyone! To get a company to do the right thing when customer service doesn’t. I want to show you three examples of how the power of social media was used to effect change either individually or to effect public change. You may have heard about the recent news about Simon Malls. For the 2015 Christmas displays in their malls across the country, they set up this “Glacier Experience “ display instead of the traditional Christmas tree. The reason they did this was so as NOT offend some people. Well, the public backlash in social media was so intense, that Simon Malls made a decision to remove the Glacier display and bring back the Christmas tree. YAY! This is the power of social media in action. The social media backlash was so great, that a boycott of the mall chain across the country was called for. On a personal level, social media can be your most powerful ally. Recently, I had an incident with a certain mobile phone service provider. No, I don’t need to name them! I had a huge problem with a $600 phone and after several calls and many hours on the phone to customer service, I still did not have a replacement after a week. Customer service gave me lip service and the runaround. I was exasperated just trying to get some results. Finally I went onto social media and publically tweeted to the company and the CEO. I called them out on their mantra about always putting customers first. A couple of hours after my social media tirade, I received a message from a VP of said company. We exchanged some information and he called me at home later that evening to get the details. The next morning, I received a phone call from a regional manager in my area and had a brand new phone in hand 2 hours later. Social media helped me to resolve an issue that customer service could not. OK, now you’re probably wondering, well how does all this help my business? Crowdsourcing is really just another word for collaborative co-creation. In traditional marketing, it’s up to you and maybe your team (if you have one) to constantly come up with new and engaging content. But what would happen if your followers, leads or customers contributed to your content creation? Leveraging knowledge and insights of others is a very creative way for you to create content. That’s where the power of social media and crowdsourcing come in. Invite those in your network to contribute ideas, interviews, testimonials, reviews, and so on. I have created health related articles that were solely composed of success story results from customers. Not only can you leverage what others have to offer, but you are providing content that your target audience finds engaging. It’s about them, right? Your target audience will be attracted to the content because they feel the same and can relate to those ideas. That’s just one simple example of how crowdsource marketing might work for you as a content creator. By reaching out to influencers on social media, you can gain even more traction. The impact of social media marketing is powerful! How are you using the power of social media in your business or in your personal life? People want to know! 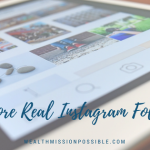 If you have a smart phone, you can learn how to leverage Instagram to get new leads and customers. CLICK HERE now to get the details and a BONUS! Using others to help deliver needed value and content is a great way to build on social media. Nice insights on the power of social media! It can literally get you places you might not ordinarily reach! Thanks for sharing! Thanks Ron! I left out the others stories involving social media: Got my son and his family a refund for a huge mistake made by an airline, go my bulk trash finally picked up after repeated attempts to customer service failed, and got a lost package finally delivered! Some call it social media shaming. But if you post responsibly, it really works! This was good enough to read twice! Thanks for the great content!